Prom season is officially here, which means two things. One, it’s time to re-watch all of our favorite ’90s teen movies to prepare. Two, it’s time to go prom dress shopping! If you’re looking to make a teen movie-worthy entrance at your prom, you need a dress that makes a statement. 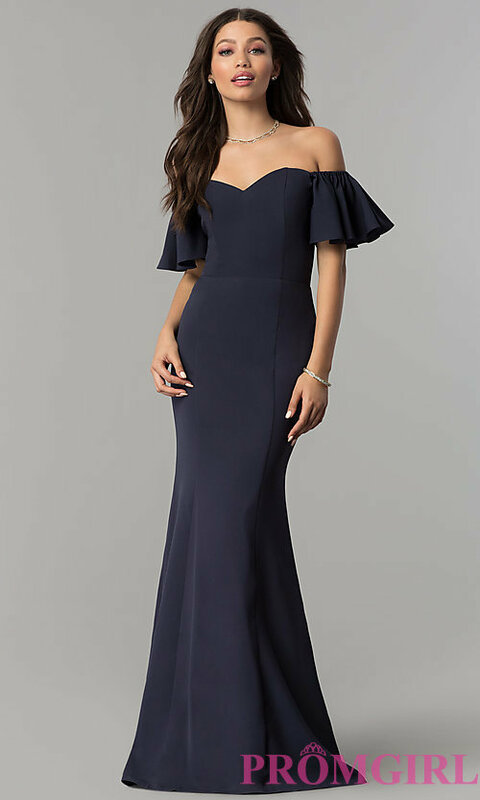 And while we’re all for wearing short prom dresses and even two-piece prom dresses, there’s no silhouette that brings the drama quite like a mermaid silhouette. 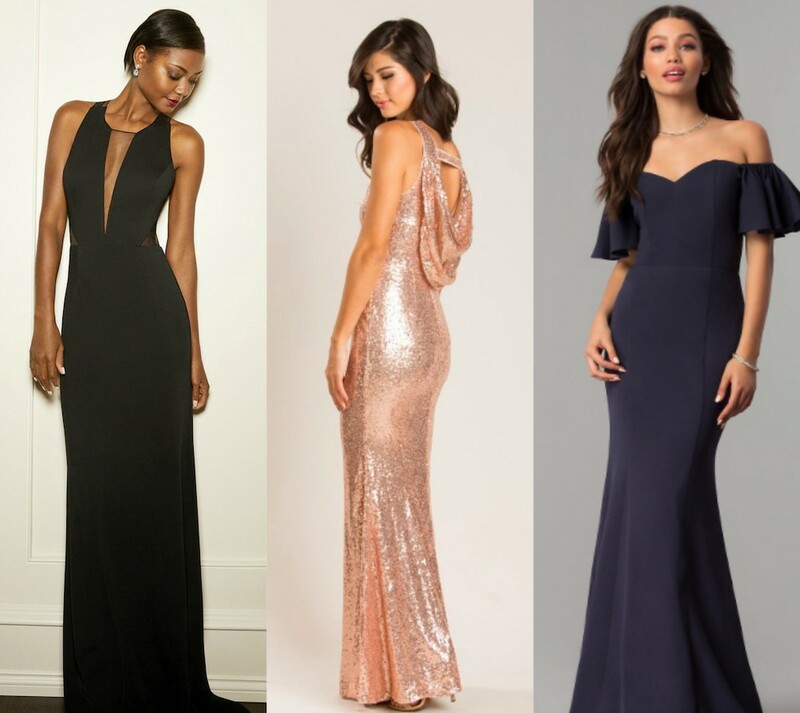 Here are 16 of our favorite mermaid silhouette prom dresses. You can’t go wrong with a slinky dress. 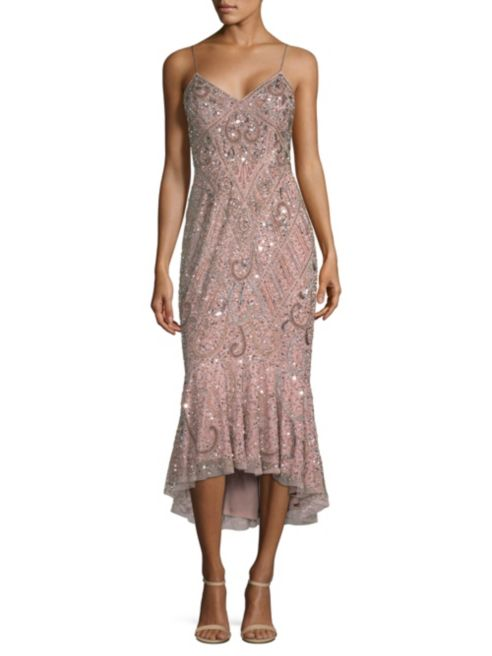 We’re swooning over the rose gold sequins and drapey back. Proof that you don’t need a floor-length gown to wear this silhouette. Mesh accents add visual interest to this black jersey gown. This dress comes in 11 different colors. Now, this is a bombshell dress. You can never have too much sequins. We didn’t know how badly we needed a lace mermaid skirt in our lives until right now. 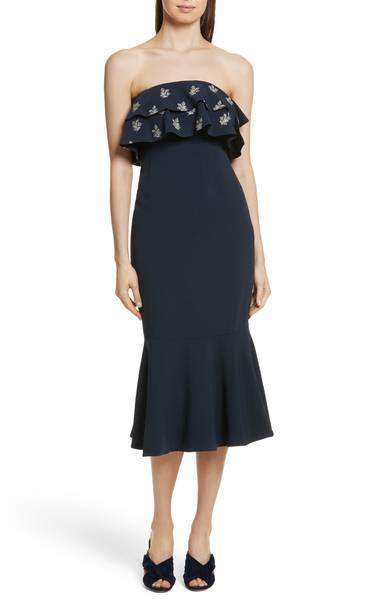 A navy color palette allows the dramatic silhouette to speak for itself. If you’re feeling extra girly. 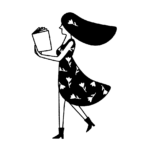 The cut-out gives it a high-fashion edge. Embellished ruffles and a midi length are dramatic without being over-the-top. A metallic lace pattern is both glam and feminine. We’re living for this metallic floral print.